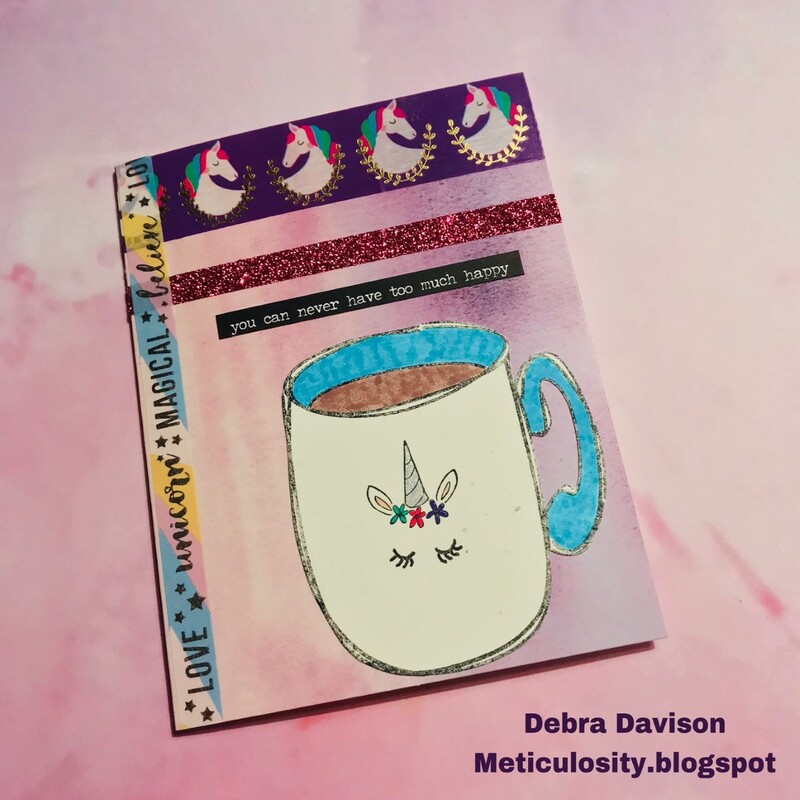 Meticulosity: Unicorn Coffee ?? Why, Yes Please !! I stamped the coffee cup from Stamplorations " Winter Mug " with Memories India Black ink onto a piece of Neenah Stardust White cardstock. 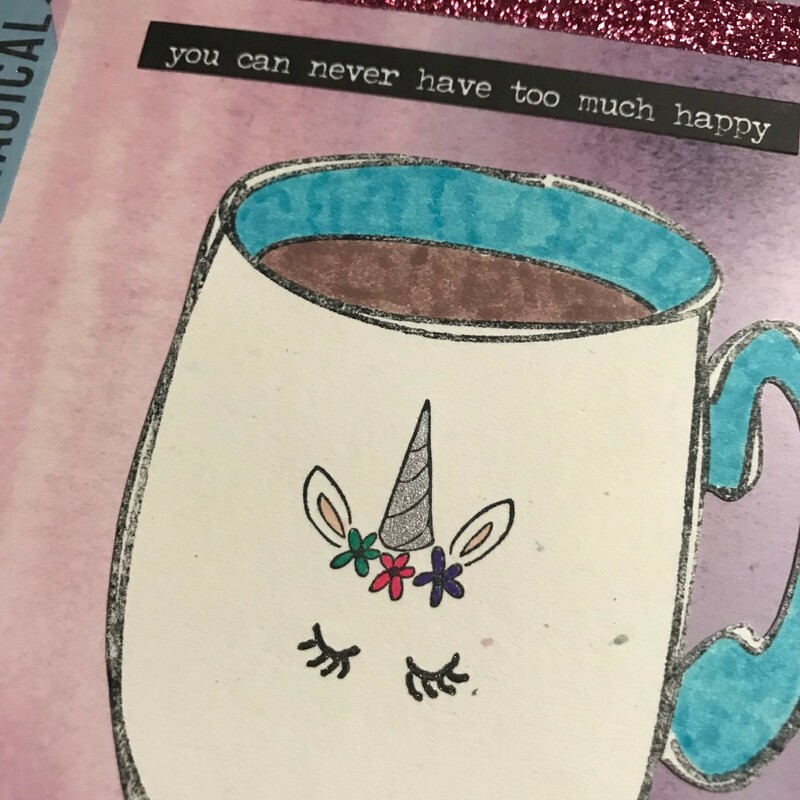 I fussy-cut the coffee cup and adhered it to the lower right side of a Mollie & Rex watercolored card base, using Tombow MONO Adhesive+ . The coffee, cup rim and handle were colored with Prismacolor pencils . The unicorn face from savvystamps.com was stamped onto the cup, also using Memories India black ink. The face was colored with a combination of Sharpies and Kaisercraft gel pens ( glitter and metallic ). Several designs of washi tape by Recollections were placed along the left side and top of the card . A Tim Holtz Ideaology " Small Talk " sentiment was placed above the coffee cup. 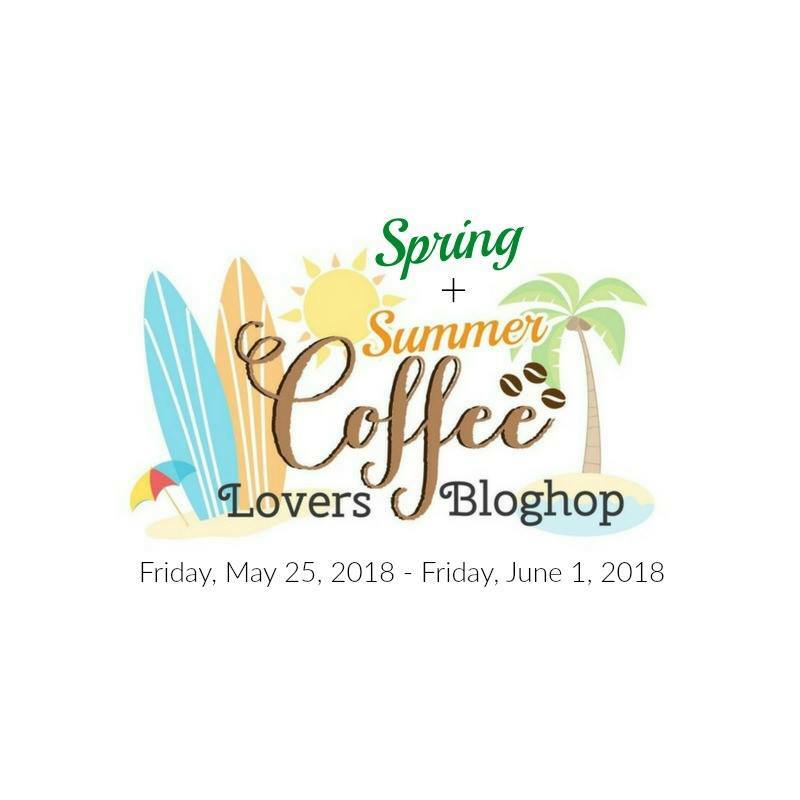 I'm linking this card up to the Spring/Summer Coffee Lovers Blog Hop. There are almost 900 projects linked up already and the inspiration is endless !! 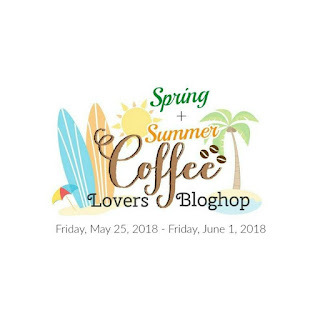 Please comment on my card for a chance at some blog candy. And thank you for visiting Meticulosity.